by 007hertzrumble | Aug 31, 2016 | Magnum P.I. With the second live tweet presentation of Magnum P.I. the ‘stache has been elevated to full #Bond_age_TV programming status. The ‘stache plays, you guys. Happy Fun Time Livetweet 2016/08/31 – Magnum, P.I. by Greg McCambley | Aug 28, 2016 | #Bond_age_TV, Magnum P.I. Well, after the massive WTF? that was Zardoz, it was announced that this week’s #Bond_age_ would be another edition of Happy Fun Time!, where I can basically schedule whatever I want. Now, my thoughts went towards another Mexican Wrestling film, or the 2nd place runner up in my last poll, It Takes A Thief. 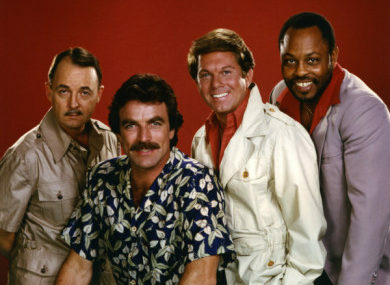 However, given that people seemed to like Magnum P.I. the last time, and that there are a few episodes on youtube, I figured why not bring him back? 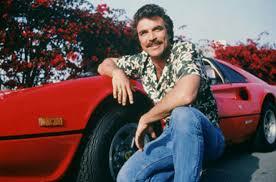 So I’m pleased to announce that this Wednesday, the ‘stache returns as we livetweet two more episodes of Magnum P.I. It’s another two-parter ( or at least should be), but the person who put them on youtube didn’t exactly make it clear. But if I have the videos correct, they should be Echoes of the Mind parts 1 and 2. Magnum finds himself drawn to a client, but finds that she may not be who she says she is. This episode features Sharon Stone in a dual role. I hope you folks will join me this Wednesday for some #Bond_age_ starting at 9 pm EST! by 007hertzrumble | Aug 10, 2016 | Magnum P.I. The viewers have spoken and therefore @gregmccambley will make it so. No. 2 put this week’s programming to a vote and the Tom Selleck mustache has arisen victorious.